Not many years after its discovery, the plant hormone indole-3-acetic acid (IAA) was demonstrated to activate cambial growth when applied to sunflower hypocotyls (Snow, 1935). 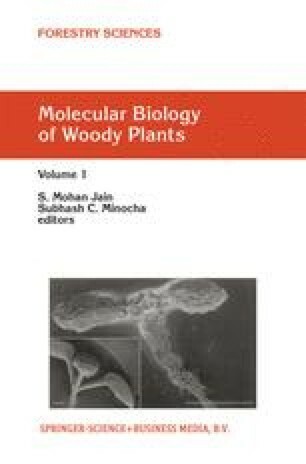 In subsequent studies it was shown that IAA is involved in the control of several aspects of secondary growth, in particular the maintenance of the vascular cambium, the production of the secondary xylem, and the regulation of xylem cell morphology (Savidge, 1983; Aloni, 1987; Little and Savidge, 1987; Lachaud, 1989; Little and Pharis, 1995). However, the exact role of IAA in controlling these processes is still controversial.